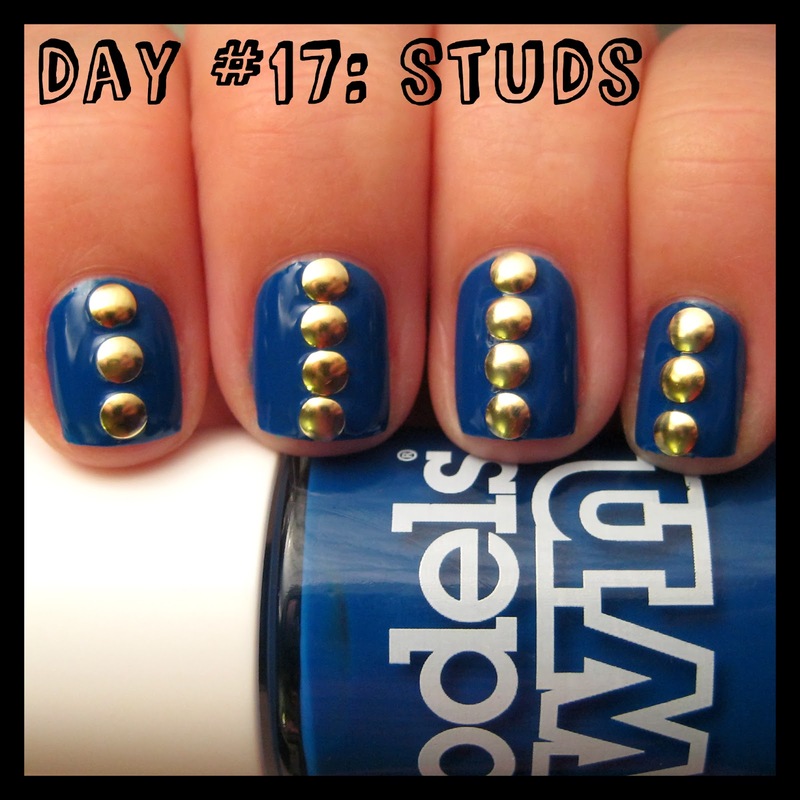 Today we have another #nailartfeb design - studs! I don't use studs a lot, but have decided that I should do more. I need to invest in a few different types, especially the spiky scary looking ones! For this design I used two coats of Models Own - True Blue. It's a lovely shade of dark blue, but not quite a navy. It's a great colour for winter as it's dark, but also rich with colour, and goes very nicely with gold. I added the studs when the polish was still wet so I didn't need to use nail glue. To secure these studs I added a thin layer of top coat. I think this design would have worked better with square studs, and also if I'd managed to get them in a straight line!